Since the very beginning, our purpose at Oasis has been to improve the lives of people with intellectual disabilities. We manage several programmes and projects designed to enable them to reach their full potential. Intellectual disability is characterized by significant limitations in both intellectual functioning (IQ>70) and in adaptive behavior, which covers many everyday social and practical skills. This disability originates before the age of 18. 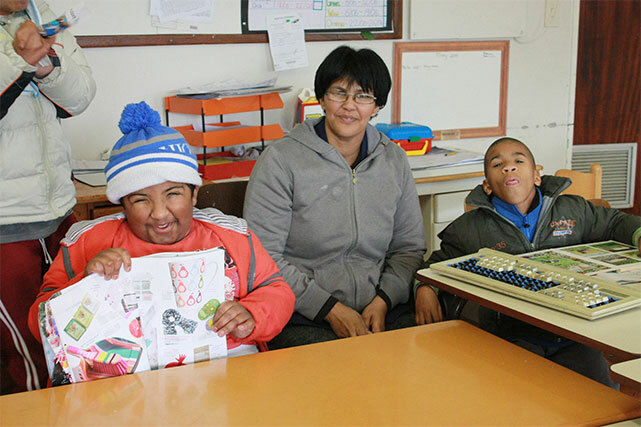 The degree to which someone is intellectually disabled is generally referred to as mild, moderate, severe or profound, this is in relation to support needs. Even though intellectual disability affects approximately 3% of our population, there is limited support available, especially in poorer communities. Oasis helps to bridge this gap.